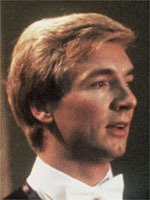 Of all the great names associated with ice dance few inspire more reverence than that of ice dancer and choreographer Christopher Dean. The man from Nottingham in the English Midlands will perhaps best be remembered for his ground-breaking performance at the 1984 Winter Games in Sarajevo with partner Jayne Torvill, when the pair triumphed with near perfect scores. His influence can perhaps best be illustrated by the impact that he and his partner had on the Soviet dynasty which had reigned imperiously over the discipline for the previous decade and more. Mack and Mabel in 1982, Barnum in 1983... Dean's choreographical magic sent the couple off on mesmerizing explorations of the rink in a whirl of perfectly calculated movement, all speed and synchronization, emotion and grace. But the couple saved their greatest performance for Sarajevo. Dean was a trainee policeman and Torvill worked for an insurance company and had it not been for a grant of 14,000 pounds (19,800 dollars) from Nottingham City Council that gave the couple some measure of financial leeway, the fairy tale could easily have been substituted for a run-of-the-mill story of yet another couple that almost made good. In 1993 Dean persuaded Torvill to return to the amateur circuit with him and in 1994 they won the European championships for the fourth time before taking the bronze medal at the Lillehammer Games with a performance many in the crowd thought deserved a greater reward. Later Dean worked with other top skaters like Michelle Kwan, Ilia Kulik, Marina Anissina and Gwendal Peizerat. Since 2006 Dean and Torvill have enjoyed renewed success with a massively popular tv show where they teach celebrities to skate, a show garnering up to 12 million viewers per episode in the UK.